GRiZ surprised us with a new tour announcement today and it's huge! With recent confirmation on his upcoming album Say It Loud, It was great news to hear of a world tour to go along with it. The Spring tour will include 29 dates that will be closed off at Hangout Music Festival in Gulf Shores. Brining along The Floozies, Exmag, Artifakts as well as Muzzy Bearr, This tour is sure to wow any audience. 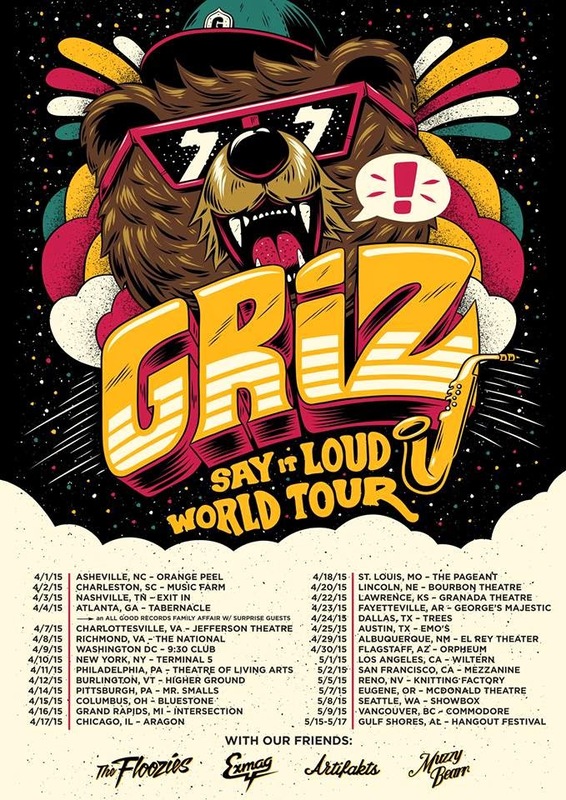 Head over to GRiZ's website for more information and tickets!